You may be new to hiring a virtual team member or have been burned by a previous experience. We understand and are here to walk you through the process. We want you to be comfortable and know what to expect. 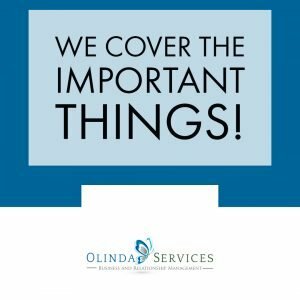 We have pulled together these Frequently Asked Questions (FAQs) to help you understand how Olinda Services operates. Review as many as you can before scheduling your appointment. How Do You Handle Holidays? 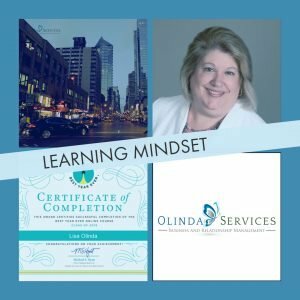 Lisa Olinda practices what she teaches her clients. We all need downtime or we burn out! With international clients we can be available for early calls, but we try to maintain evening, weekends and holidays off. In special circumstances, exceptions can be made. Lisa always provides clients with two weeks notice if she is out of the office. Most work can be prearranged and scheduled. 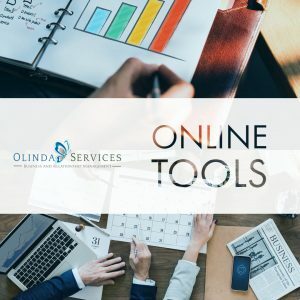 Can You Use My Online Tools? 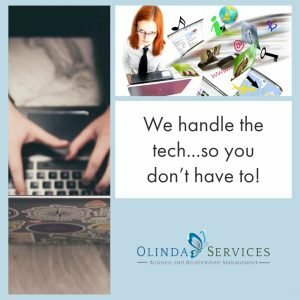 If you have systems already in place and want Olinda Services to manage them for you, lets discuss them in our discovery call. Usually, if your online tools are cloud-based and available through the internet, we can accommodate. Our plans are renewed on a month-to-month basis with no long-term commitment. We request that you give two weeks’ notice if we are not a good fit for you. Lisa Olinda, owner of Olinda Services, worked in corporate America with companies like JP Morgan and American Express. When Lisa left Corporate America, she gained tremendous experience working with small business owners and non-profits. She has extensive experience with volunteer, non-profit boards and has helped establish several small businesses. She has over ten years of experience working closely with international clients. Due to the fluid nature of online services, training takes place constantly. Self-development work, reading and software training. The subcontractors in her company have worked with her extensively and are valued team members. How Can I Connect With You? Building a relationship with my clients is the best part of my job. I have developed many friendships over the years with clients. One client has been with me since 2007. We love connecting with each other almost daily. What is the best way to connect? The best way to reach Olinda Services is via email or the project management tool agreed on. Phone calls can be scheduled, as needed. 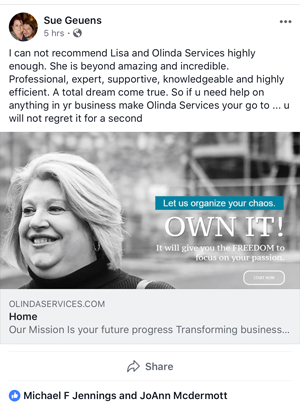 Yes, hiring Olinda Services is a major investment in your business. The goal though is to maximize the benefit, so you can find relief from the overwhelm managing your business and business relationships. 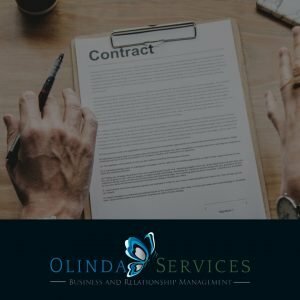 A big advantage you have with partnering with Olinda Services is you gain over 30 years of valuable business experience. You do not need to pay an hourly wage, benefits, payroll, taxes, and time not worked (vacation, holidays, sick). You do not need to purchase equipment and furniture while adhering to mandates such as OSHA. Working with Olinda Services is intended to be a convenient, cost-effective solution to your needs. You are only paying for the amount of work you need. The minimum hours available per month are up to 10. You can also purchase our Premium or Deluxe plan. 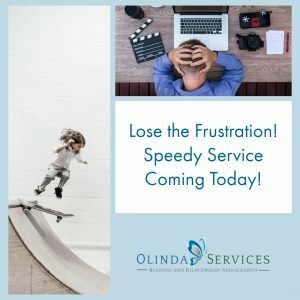 Olinda Services is all about providing solutions to busy, overwhelmed business owners and executives. We take the chaos out of owning and managing a business. We find the areas in your business that need solutions, and forecast and anticipate future needs. We create a partnership with clients to end complexity and build business relationships. To learn more services we provide, visit our page Work With Us. Our plans are all inclusive. Special projects where additional team members need to be hired. That would be arranged on a case by case basis. Travel costs if travel is needed to a location. All travel expenses will be covered by the client. Special supplies purchased for a specific project. Package shipping will be covered by the client. Olinda Services has worked with a variety of business partners over the years. She loves working the C-Level Executives, especially those involved in Non-Profits, action takers, bold, articulate, clear email communication, teachable, professional and ready to invest in the business and take it to the next level! Overall those with a stretch mindset. Here is a short video describing my ideal client. Will I Have to Train You? Although Lisa Olinda has over 30 years of expertise, there will be some training needed on your systems. I recommend that you delegate in steps. We often advise potential clients to take a week and write down everything they are doing. Sort those tasks into what makes money and what doesn’t. Do you have something that bores you to tears and is not making you money? That is a great place to start. With Olinda Services you will find a partner that is quick, efficient and detail-oriented. A Standard Operating Procedure (SOP) is developed for each client detailing systems and processes as they are mastered them. The Tech Scares Me. Can you help? Tech can be a huge battle in the virtual world. 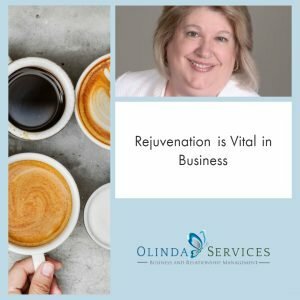 Lisa Olinda has navigated these waters for many years and has the skillset to help your business thrive in a virtual world. She knows the tools to use to keep your information safe, but accessible. Can you email be handled and make you look like the rock star you are? Yes, of course! Email is usually managed via Outlook or web mail. Correspondence with your clients will be seamless. You can visit our “Work With Us” page for a complete list of services. 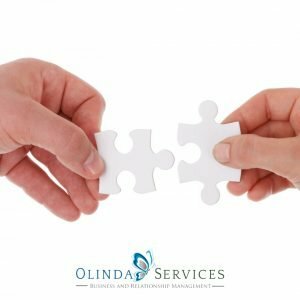 Olinda Services concentrates on C-Level business services. Core services include document management, team building, travel management, calendar management and email management. These services embrace project management, marketing and systems. Non-Profit and Board services are also available. 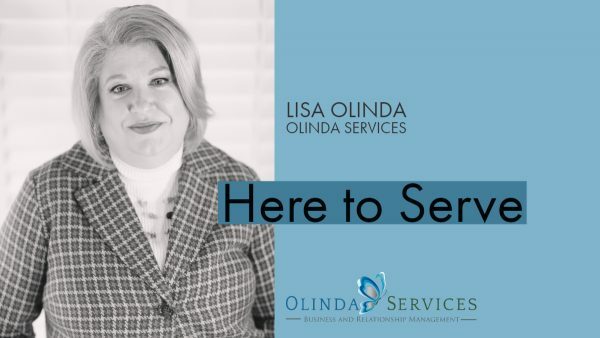 Lisa Olinda, CEO of Olinda Services, is your main liaison. Will I Have to Wait Forever to Get a Response? There is nothing more frustrating than waiting for someone to return your call or an email. Did they even read it? You are welcome to email at any time. During weekday hours, emails are usually responded to within 3 – 4 hours. Weekend emails will be handled first thing Monday morning, unless it is an emergency. Need to call us? Often times, phone calls will go to voicemail. Leave a message and we will return the call as soon as possible during normal business hours. Let us know there is an emergency by placing “URGENT:” in the subject line followed by the relevant topic. That will let us know it needs immediate action. How Can I Protect My Company Information? Data Management and Privacy is imperative in today’s GDPR culture. 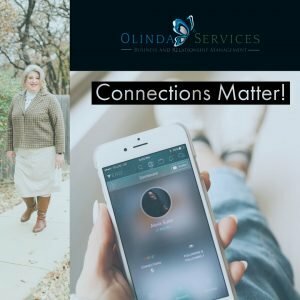 Olinda Services wants you to feel secure in knowing your data and information is handled discreetly and confidentially. 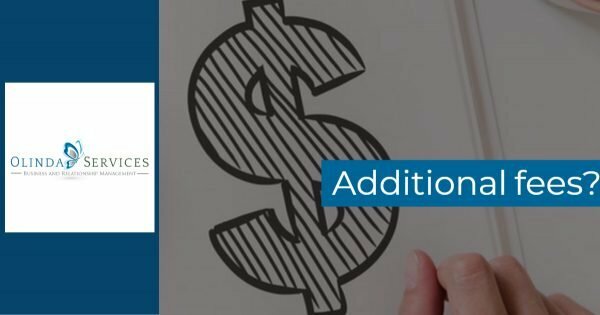 Lisa Olinda and all subcontractors sign a non-disclosure agreement (NDA) covering the protection of your information and intellectual property. In addition, the company takes advantage of cloud technologies and save information and files on cloud-based platforms like Dropbox. This means that your sensitive information is stored centrally rather than on an individual’s personal computer. If a project is complete or work terminated, all work will be removed from Olinda Services computers and backups within 30 days. Lisa firmly believes in building trust in her partner relationships. You will select a monthly retainer. Your first month will be prorated. Billing occurs on the 1st of the month. If you run out of hours two months in a row you will be advised to move up to the next retainer level (or if you are working on a special project). 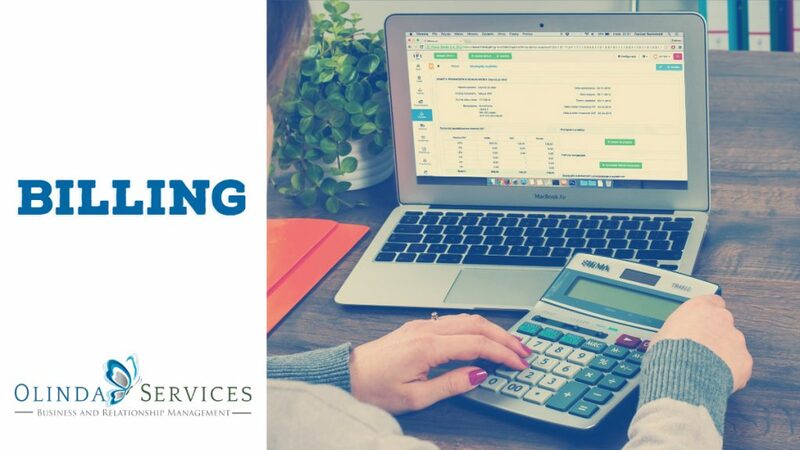 Billing is done through QuickBooks. Online payment can be made through your checking account (preferred) or a credit card.